Welcome to Day #3 of Chocolate and Seed Theme Week. 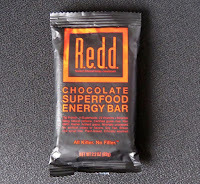 Today's Chocolate Superfood Energy Bar was from R.e.d.d. * (Portland, ME). 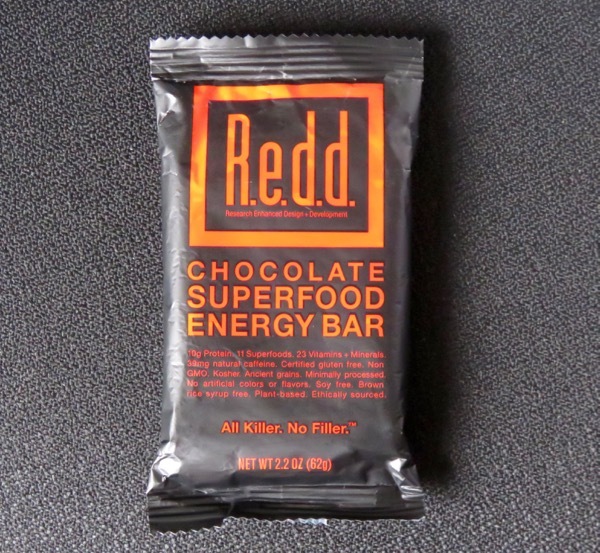 This protein + energy + vitamin + mineral bar contained a long list of ingredients, including plant/mostly fruit extracts and powders, and yerba mate extract that contained caffeine. Busy people presumably have a more difficult to find time to cook a healthy meal from scratch. 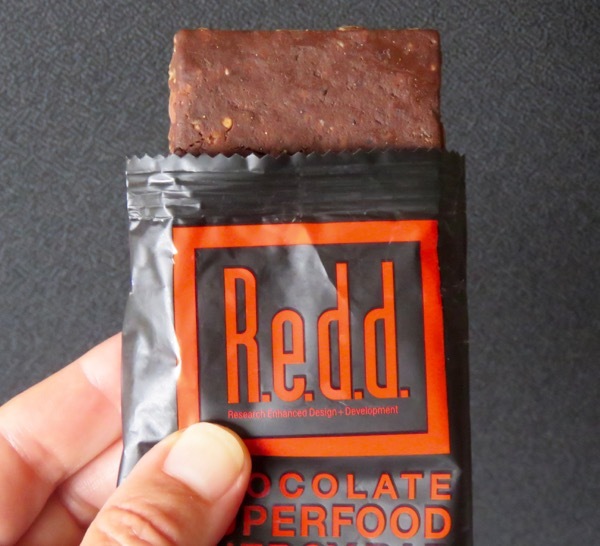 Enter the legion of protein and energy bars on the market, including this one. This gluten free bar claimed to be 3 products in 1: protein bar + energy shot (1/3 cup coffee) + multi-vitamin. It contained "10 grams of protein, 19 vitamins + minerals, and 35+ grams of natural caffeine," and seeds. 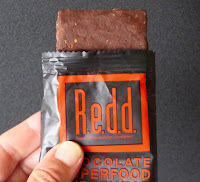 The number one ingredient listed was a Redd vegan protein blend (pumpkin seed protein powder and pea powder) ...followed by agave syrup and oats. The bar also contained organic chia seeds. The chocolate came in the form of dark chocolate and cocoa powder. * R.e.d.d. stands for Research Enhanced Design + Development.